Bookended by an extract of a poem written by Kwadwo Nkita-Mayala, Sam Pilling's compelling documentary-style video for this remix of Major Lazer's Light It Up, featuring Nyla and Fuse ODG, is about dealing with the hardships in life and finding the energy to get back up. 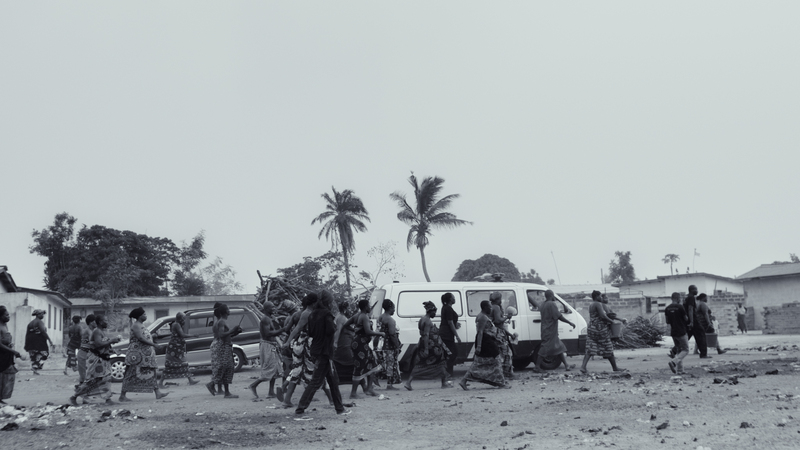 "Because Fuse’s family is from Ghana, and he was over there recording, we thought it would bring a really interesting aesthetic to film the video there," explains Pilling, who captured strong images of family and friends in mourning at a traditional funeral ceremony, with exceptional photography by Paul Özgür. "Working with Diplo we discussed how he wanted to convey this simple message with a real sense of beauty, authenticity and genuine feeling. Delving deeper into Ghanaian culture, we found that their traditional funeral ceremonies perfectly exemplify this sense of coming together to rise up against sadness. "The whole community joins together, first in mourning the death, then in celebrating the life that was lived. We worked closely with a Ghanaian family and rural village, meeting the elders and receiving their blessing to film and partake in a real funeral ceremony. "We wanted to base the video in this very real documentary world but also tried to capture a sense of journey and passing of the deceased’s spirit by adding a surreal tone to our visuals, both in terms of the way we filmed the funeral but also by adding some more ethereal elements to the piece. "I found a poem 'Kae' [Remember] written in a traditional Ghanaian language, Twe, which felt like the perfect companion to the video as it is about reflecting on sadness but rising up and looking to the future and to new life."